Our founder, Preston H. McGinnis, of Princeton, Iowa, was one of the early Scott County undertakers and was well-known throughout the region. 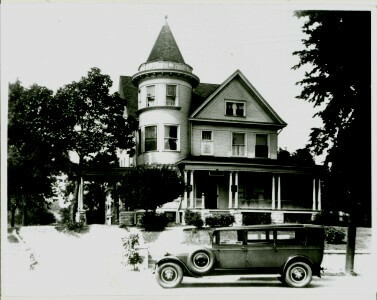 In the early 1900's, the McGinnis family moved to Bettendorf, Iowa and established their funeral home in a downtown storefront location. In 1923, they relocated to our present location along the banks of the Mississippi River. Preston & Rebecca McGinnis' daughters, Mary, Mildred, Ruth, & Lottie all became schoolteachers while their sons, Nelson, Roy, & Finley all became morticians. The business was advertised at one time as owned and operated by a father and three sons. Finley McGinnis, along with his brothers & sisters, operated the funeral home for nearly 60 years with compassion and friendship. After a long and devoted career in funeral service, they retired in 1979. In addition to their location in Bettendorf, they also operate Chambers Funeral Home in Eldridge, Iowa.